This beginner crochet afghan patterns is one of the sweetest and easiest baby blankets to make. This soft baby blanket pattern is simple enough to learn to crochet as you create a beautiful gift. This baby blanket would make a wonderful gift, for baby showers, Christmas or other occasions. Its soft, downy look will be the perfect gift to satisfy any mother or mother-to-be. MATERIALS (50 g/1.75 oz) 4 balls #00469 (Pink or color of choice). Sizes 4 mm (U.S. G or 6) crochet hook or size needed to obtain gauge. GAUGE: 18 1/2 sc and 24 rows = 4 ins [10 cm]. 2nd row: Ch 3. 1 dc in first dc. *Cluster in ch-2 sp of next Cluster. Ch 1. V-st in next V-st. Rep from * to last Cluster. Cluster in ch-2 sp of next Cluster. Ch 1. Miss next dc. 2 dc in last dc. Rep last row for pat until work from beg measures 291/2 ins [75 cm], ending with RS facing for next row. With RS of work facing, join yarn with sl st to first ch of foundation ch. Ch 3. 1 dc in same sp as sl st (counts as 2 dc). Miss next 3 ch. Cluster in next ch. *Ch 1. Miss next 3 ch. V-st in next ch. Miss next 3 ch. Cluster in next ch. Rep from * 18 times more. Ch 1. Miss next 3 ch. 2 dc in last ch. This pattern is a must for your collection of beginner crochet patterns. Keep it handy so you can find it easily when you decide to use it again and again! You may want to make blankets for premature babies for a hospital or local charity group. This baby blanket pattern will not take a lot of time to complete and you will enjoy the variety of using different yarns. Making this sweet baby blanket is a win-win situation. 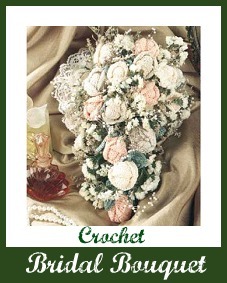 You will enjoy crocheting it and the person you give it to will be thrilled and delighted. This baby blanket will envelop the new little one with the love of the gift-giver.